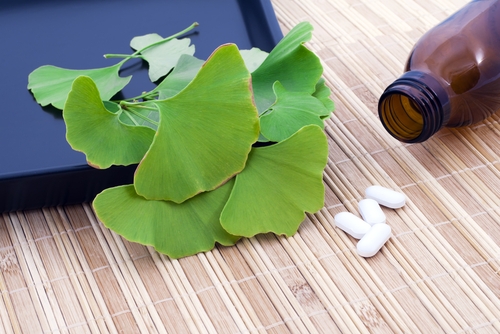 A new Chinese study, reported in the Journal of Clinical Psychiatry, has found that ginkgo biloba, one of the most popular natural products sold in the United States, may have benefits in treating tardive dyskinesia. Tardive dyskinesia is an involuntary repetitive movement disorder that can result from the long-term use of some antipsychotic medications. People with schizophrenia may be especially at risk of developing tardive dyskenisia. More information about ginkgo biloba's promise as a treatment tool for tardive dyskinesia can be found in Psychiatric News at http://pn.psychiatryonline.org/content/46/14/19.2.full. More information about tardive dyskinesia in general can be found in Tardive Dyskinesia: A Task Force Report of the American Psychiatric Association available from American Psychiatric Publishing at http://www.appi.org/SearchCenter/Pages/SearchDetail.aspx?ItemId=2230.